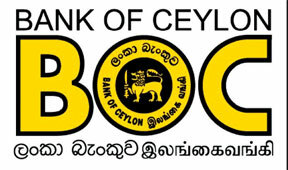 Fitch Ratings has assigned Bank of Ceylon's (BOC) USD 500m unsecured notes due 2018 a final rating of 'BB-'. This follows the receipt of the final documents conforming to information previously received. The final rating is at the same level as the expected rating assigned on March 28, 2013 (see 'Fitch Affirms Bank of Ceylon's 'BB-' IDRs' on www.fitchratings.com). The notes have a maturity of five years and coupon payments will be at a fixed rate of 5.325% on a semi-annual basis. The issue proceeds are to be partly used for refinancing near-term maturities, as well as for balance sheet growth. The notes are rated at the same level as BOC's Long-Term Foreign Currency Issuer Default Rating (IDR) as they will constitute direct, unsubordinated and unsecured obligations of the bank, and will rank equally with all its other unsecured and unsubordinated obligations. BOC's Long-Term IDR is driven by the Government of Sri Lanka's (GOSL) high propensity but somewhat limited ability to provide timely support to the bank at times of distress. In Fitch's view, the state's high propensity stems from BOC's systemic importance as the largest bank in the country - accounting for nearly 20% of banking system's deposits and assets - its quasi-sovereign status, its role as a key lender to the government and full government ownership. The state's limited ability is reflected in the 'BB-'/Stable sovereign rating. Any change in the GOSL's ability or propensity to extend support to BOC will result in a corresponding change in BOC's IDRs and hence the issue rating.